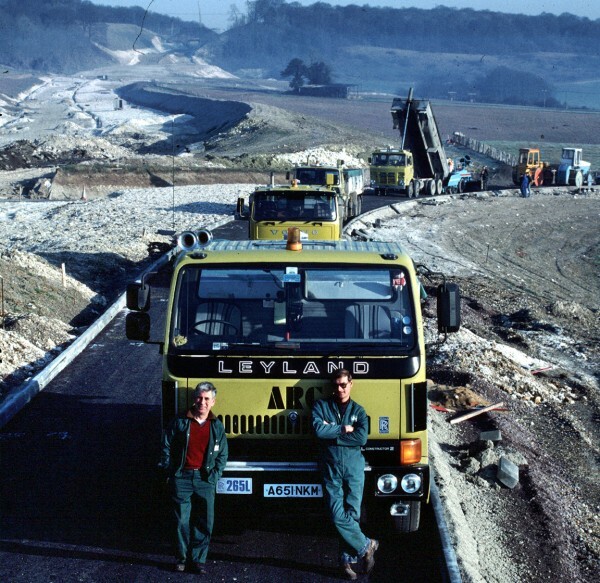 Just like Vic, Bill and Leyland built the M25 could you help build this book? A little while back, you may recall I was approached by a publishing company which was looking to expand its portfolio of titles by branching out into other areas related to the Automotive Industry. A few ideas were pitched and, after a long think, the publisher were receptive to a germ of an idea relating to Leyland Trucks and its trendsetting T45 range, first introduced back in 1980. The publishers asked me to collate a working draft chapter and set out the structure of the book, which itself was no mean feat – and then submit it for review and risk-assessment procedure. Following the sudden death of my father recently, it all went a bit pear-shaped. The project was left to simmer on the back burner until I could get it and, indeed myself, into gear. After doing as requested and putting one or two ‘feelers’ out into the ether, some very good responses came back. One or two were what I truly believe to be crucial to the nature of the book. Well, after some hysteria on my part and some patience on part of the publisher, contracts have been completed and deadlines have now been set. In other words, the book is going ahead officially and I thought some of you may like to know. Leyland Trucks played a huge role in the BL story. The fact was it shored up the ailing car side of BL, with its profits, throughout the 1970s. It was only after it was almost brought to its knees by an ailing and aging product range, starved of working capital that was being sent down the M6 to Longbridge and onwards to Cowley, that a £350m investment was pumped into Lancashire to provide state-of-the-art research, design and production facilities. 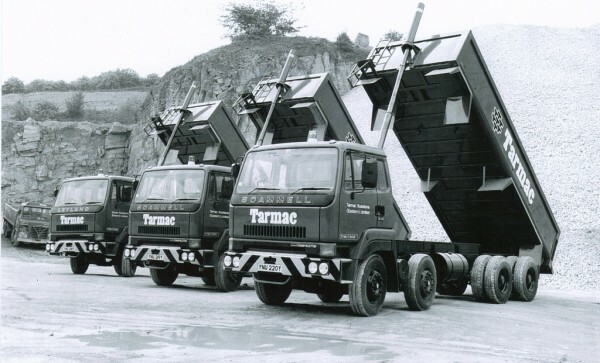 T45 and its workforce played a bigger part in Leyland’s future than most people think and are possibly one of the good reasons for why you can still buy trucks made in Leyland to this day. A number of contacts (some involved with the Leyland T45 project from day one) have come forward via AROnline and I am offering my heartfelt thank you to all those who have contacted me and stood up to be counted. 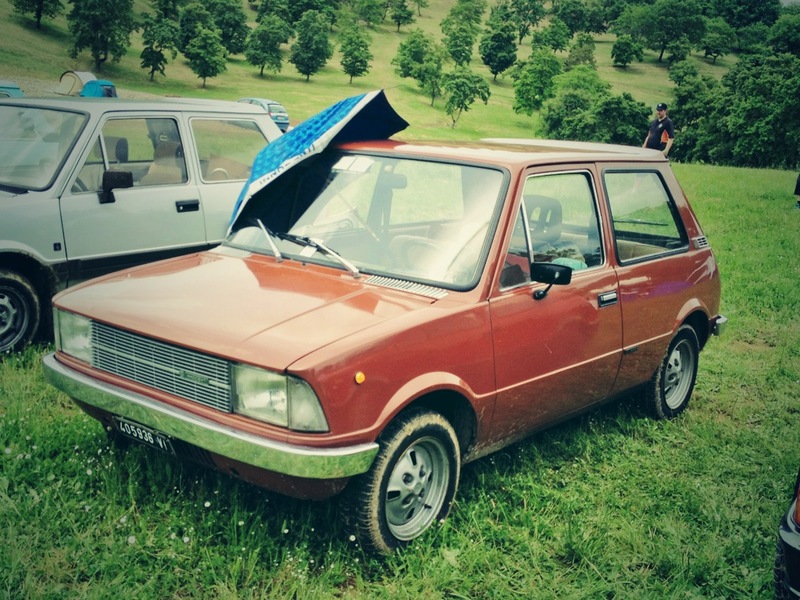 The story is a fascinating – one of both bitter pills and brilliance, proving a point that not everything associated with British Leyland was destined to fail and fall at the first hurdle. It’s also a story which has, I think, been criminally ignored and never told – as do the gathering army of contacts who wish to play their part in this publication. Anyway, my thanks again to all involved so far and, if anyone has information, spec sheets, brochures or even a simple anecdote regarding Leyland T45 from the Roadrunner through to Roadtrain, please get in touch with me by the email address below. Your part, no matter how big or small, is invaluable to the project, and you’ll possibly get your name in print too! I can’t offer anything in the way of material, but if you wanted someone to read anything for some feedback (not that you probably need it) you know where to find me. In addition, my Dad was a fleet manager and had a fully stickered-up blue and white T45 artic on approval, which he absolutely loved (and wanted to buy for the company), however the word came from on high that all the group had to buy the same make of lorry under one contract to reduce purchasing costs, which ended up being Dodge, sadly. I remember my excitement in seeing the blue and white T45 Team artic at my Dad’s work – it was the equivalent of seeing a Ferrari to me! Good luck with the book Mike – let us know when it’s available and I’ll buy a copy, as I love the T45 (and your writing – surely a Tales from the Motor Industry book from you is overdue, after all, you’ve got the unique perspective of someone who worked in both the sales and service side of the industry). Good luck with the book, Mike, wish I had something to contribute- I’ll certainly buy a copy- so thats four sold so far, to Sam Steve, myself, and your mum. My only first hand experience with a T45 was when hitch hiking as an 18 year old. Got given a lift in a T45 Freighter 16 ton rigid). The driver wasn’t all that keen on it as he found it a bit bouncy compared to other trucks. Bloody hell! my apprenticeship was littered with these,from new liners in TL11’s to gas axeing input shafts due siezure to spigot bearings! I remember as a kid they simply looked so ‘new’ compared with other trucks of the time when introduced. Also let me know if there is anything I can help you with in getting the book done. I’m pretty sure there was an Open University industrial design programme that featured these when they first appeared. I remember going to the motor show with my late (ex BMC) and meeting staff from Motor Panels who made the cab for the T45. I remember them being very exited about the project and how high tech it was. I seem to recollect that it was a pioneer of high strength steels in the cab structure. So I look forward to the book. 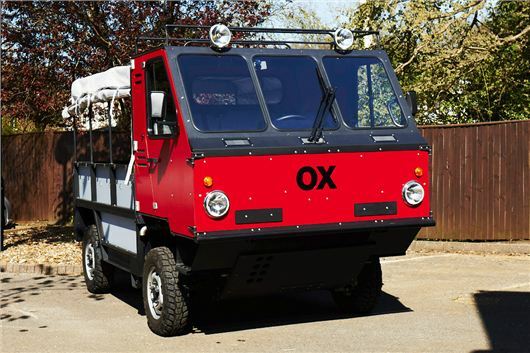 Of particular interest to me is the Motor Panels’ involvement and the input from Ogle with the cab styling. I liked the way that Roadrunners harked back to BMC light lorries with the pedestrian window. Shame that Daf removed it for the mk2. I will see if I have anything relevant in my ‘collection’ of motor stuff. I can confirm that Dr Tom Karen (Ogle Design) is contributing to the book too! Some really good names have stepped up to the plate! Stepped up to the wicket please! 🙂 The plate is for baseball. My Dad was a Sales Manager for Caffyns Eastbourne when the T45 came out (and long before) and I remember his excitement returning from the first preview at the factory. He had all the dealer handout stuff which we went through and when his first demonstrator tuned up, I was chuffed to bits to be picked up from school in it as it was so radical in comparison to everything else on the road. Good luck Mike! Your anecdotes are always a pleasure to read. I’m sure the book will be a gem, not only for the trucking enthusiast! All the very best with the book Mike. Your skill and enthusiasm will shine and I will buy the book! I’m not a real trucker though ever since I was a kid I’ve wanted to drive one of those Pickfords great multiwheel monsters carrying a massive generator – or something. There are some books on the subject but has ‘our’ manufacturers had a big input? Go on – another book to follow this one? I’m wondering if any elements of the cab found thier way into current Daf models,i have just re-cabbed a XF 105 from scratch and it appears a bit old in terms of certain design areas compared to MAN TGX cabs-itself long in the tooth. 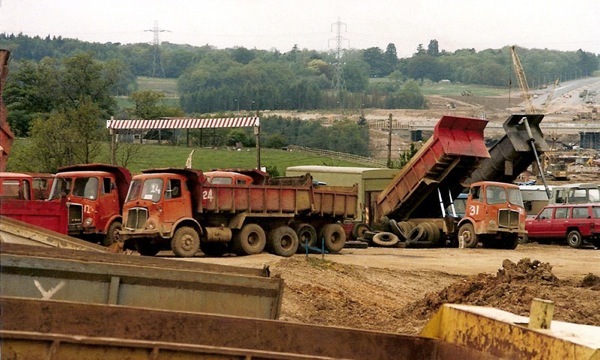 The T45 certainly was a reasonable success, but the modern plant and decent workforce are definitely the major reason why trucks are still rolling off the lines there. @15,I agree entirely,and what a departure from the old cad they was too. Like the D series to Cargo. Sadly, I know very little about T45 trucks, but one little nugget lodged in the single grey cell : The T45 cab rear windows were used for the Sherpa 300/400 chassis cab ditto. Real Trivial Pursuits stuff, this. Also have some vague recollections of T45s being given the Russ Swift treatment – driving up on two wheels ?? http://www.nynehead-books.co.uk would be a good source of photographs and info. I am a huge fan of anything BL and so much so that for the past 8 years I have been a parts man for my local DAF Trucks dealership, as a result of this I was able to save loads of valuable material that was destined for the skip! I have service workshop manuals for the t45 constructor and t45 team promotional stuff as well as sales brochures, the t45 production facility brochures and drivers hand books! I also have several microfiche folders and a reader, some of the microfiche are the chassis ID cards for scammel built T45s! Would this be of any help to you? Hi, I remember the T45 with great fondness, I was 15yrs old in Jan 1985 when the tean T45 artic pulled up at my home in Stockport driven by a guy from Leyland ‘Jeff Hyam’ and accompanied by Kennings Manager ‘Alan Gowlett’. Also present that day was BBC film crew and news presenter ‘Paul Newman’, they took me to Burtonwood Airfield in Warrington and i drove the new ROADRUNNER 7 1/2 ton and then the team T45 artic around the airfiled. The day was arranged following a letter i wrote to Leyland asking if i could drive the Roadrunner on the track at Leyland 🙂 . They aired my adventure on BBC Look Northwest news in the evening and i was on the front page of the Manchester Evening News haha. I started off driving Roadrunners when I was 19 before making it up to Roadtrains aand have a few photos of these.